Alcohol detox centers allow sufferers of alcohol use disorder (AUD) to safely and comfortably purge their bodies of the toxins that have accumulated through prolonged and uninterrupted heavy drinking. The detox process is best managed by experienced and qualified doctors and nurses who are trained to treat alcohol withdrawal symptoms and step in should there be a medical emergency. Indiana is home to a sizeable population of alcohol use disorder sufferers. Data from the Substance Abuse and Mental Health Services Administration indicates that alcohol is the most commonly abused drug in Indiana and the leading cause of treatment admissions in the state. Indiana residents who are unable to find detox in their home state can also choose from a number of resources in nearby Chicago or Michigan. Detox is considered an essential health benefit and can be paid for by private or employer-based health insurance. Patients without health insurance may be able to pay for detox through state funding or Medicare or Medicaid. 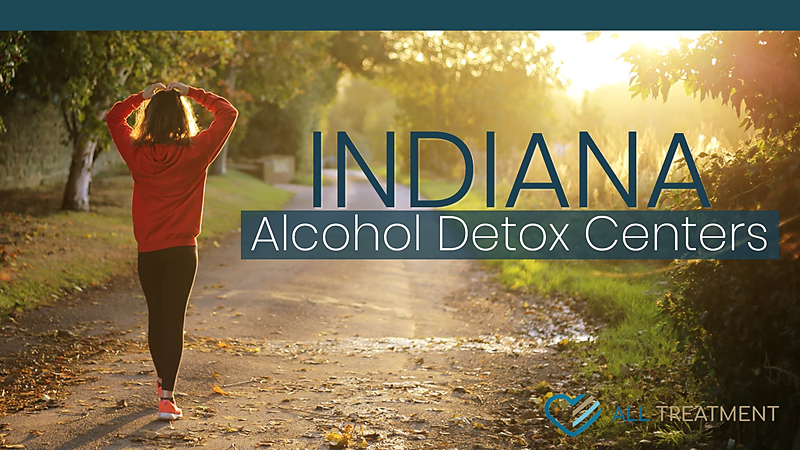 If you or someone you care about is struggling with alcohol addiction in Indiana, get the help you need now at one of the state’s detox centers.